Table in elevated loft section of main room. 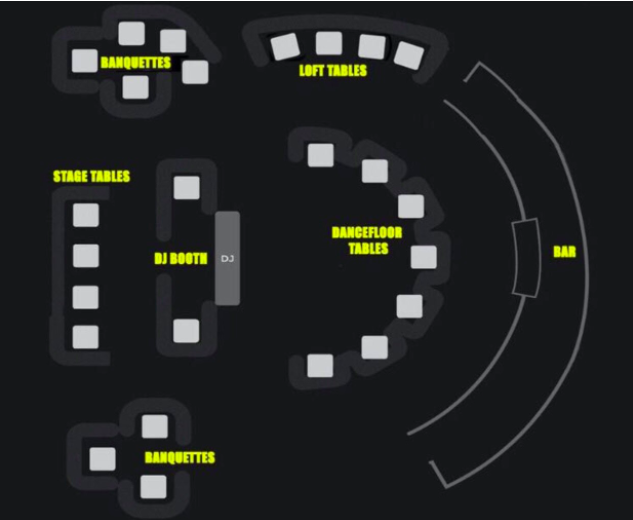 Table behind stage / DJ booth. Table and couch near along walls to side of stage in main room.